Built in 1912 by J Samuel White at Cowes, Isle of Wight, this is a Royal Naval Hospital Boat of timber carvel construction, originally fitted with 2 Parsons semi diesel engines, which have now been removed. 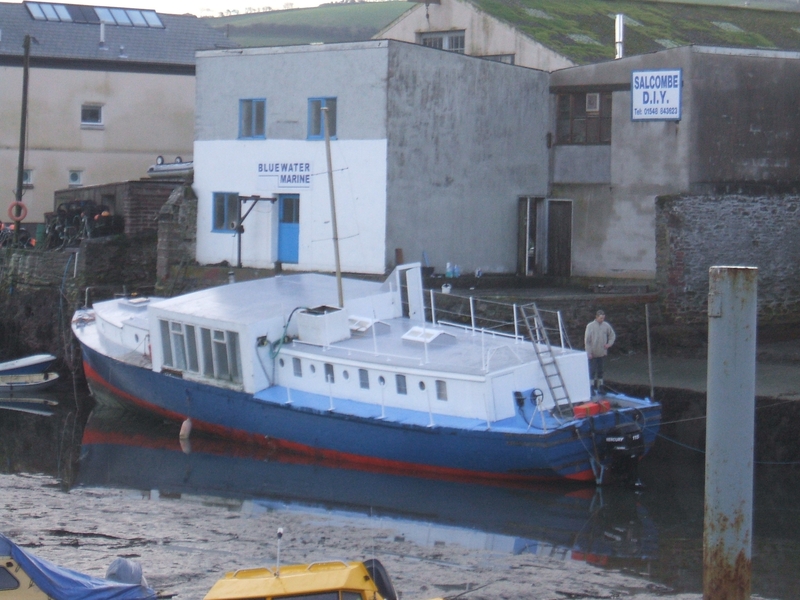 She was used as a hospital boat in both World Wars and was sold to a Mr Douglas Winter in approximately 1950. 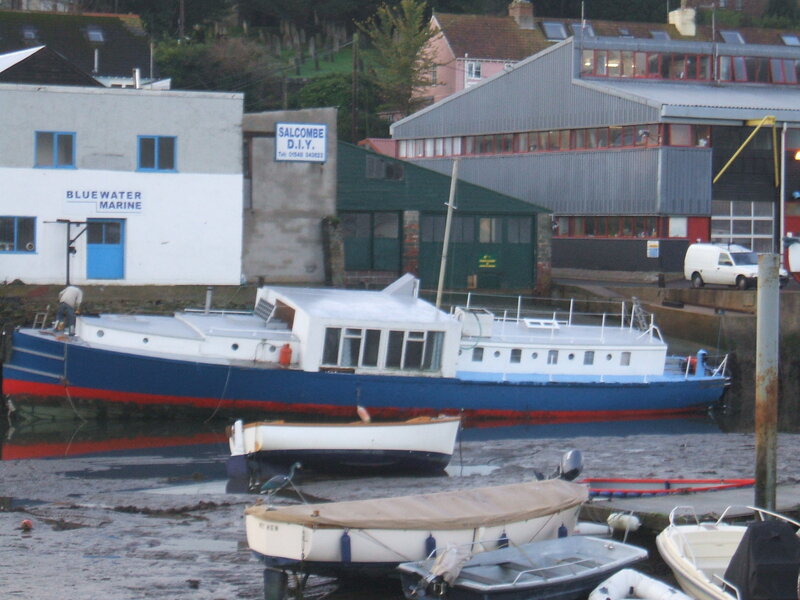 Converted to a houseboat and renamed GILLAROO, she remained in the same ownership for several years before being passed to various houseboat renters in Salcombe. 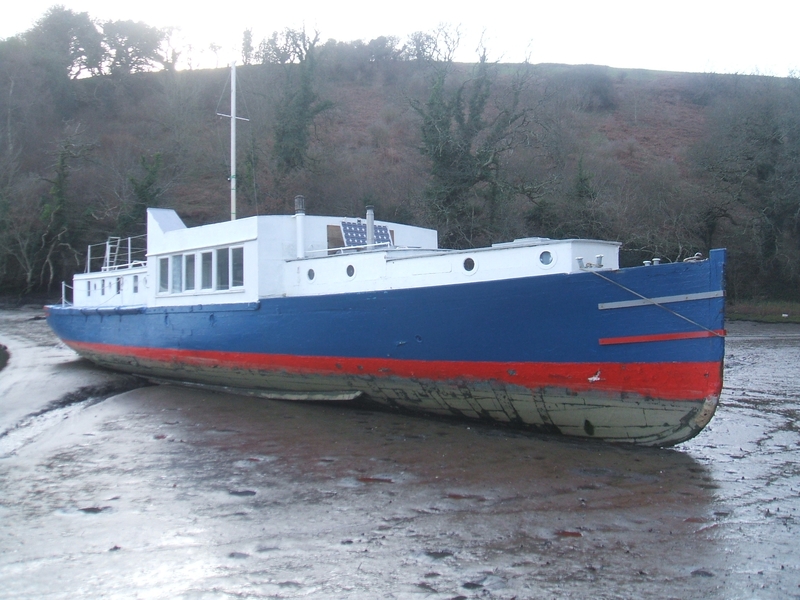 She was sold to her present owner in 2007 and is now based at Aveton Gifford, in Devon, where it is proposed to either restore her to near original state or convert her to a late Victorian style river boat. She is possibly unique in terms of construction method and the mix of materials used; being built of 10 different types of timber and powered by the earliest of air cooled diesels.